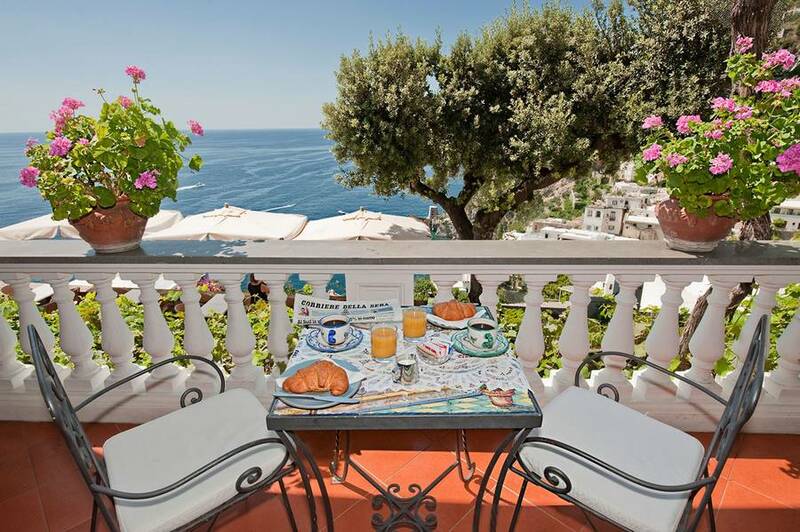 From the terraces of Positano's hotel and restaurant Villa Gabrisa, it is easy to see why the Amalfi Coast has, for centuries, been one of Italy's most sought-after holiday destinations. 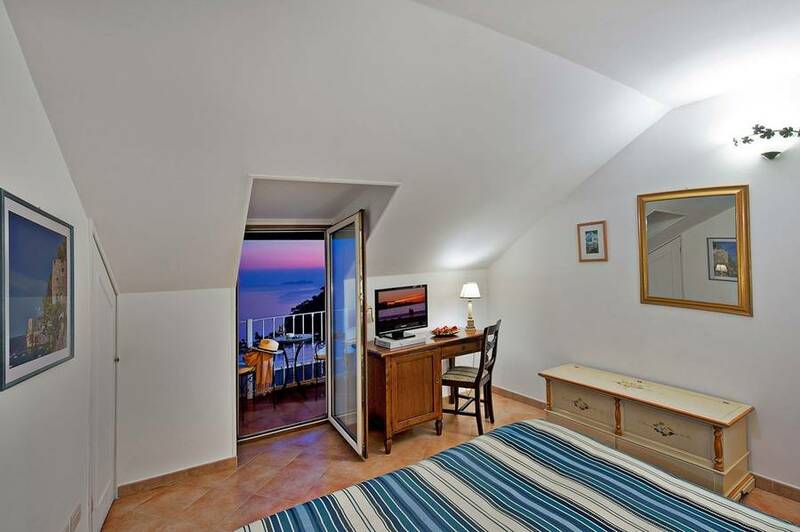 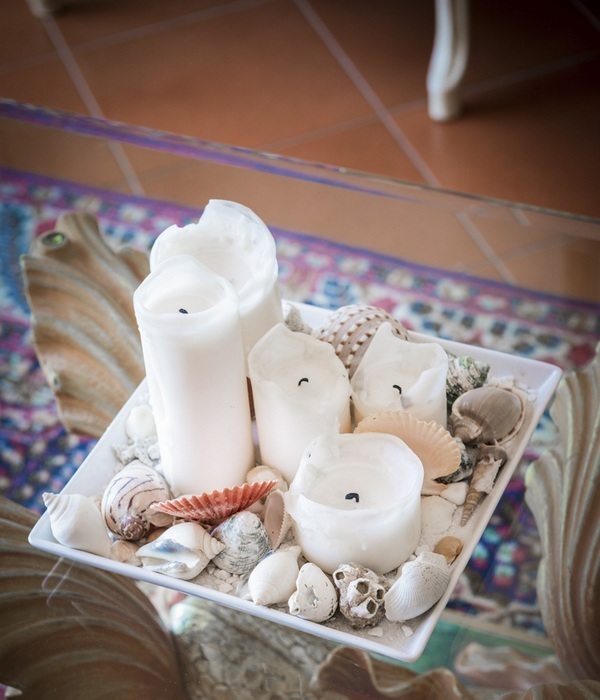 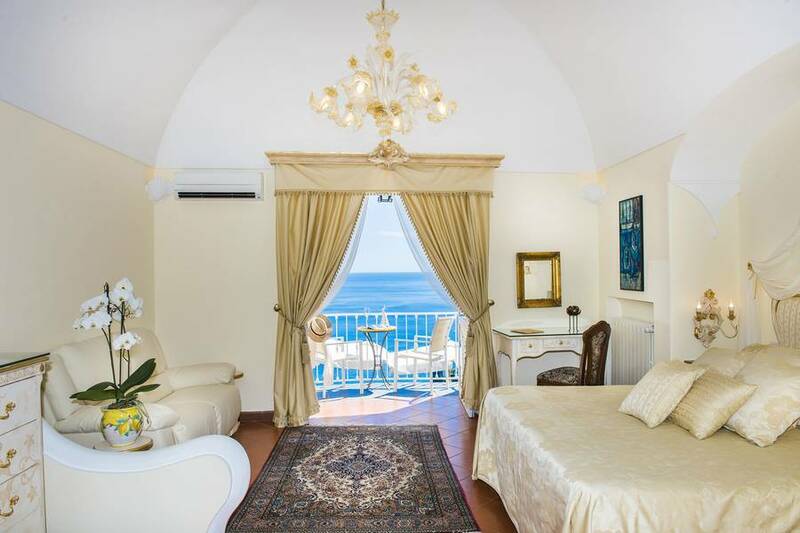 From each and every one of the hotel's rooms, a breathtaking view of the area's dramatically beautiful coastline, the sea, and the picturesque town of Positano, awaits. 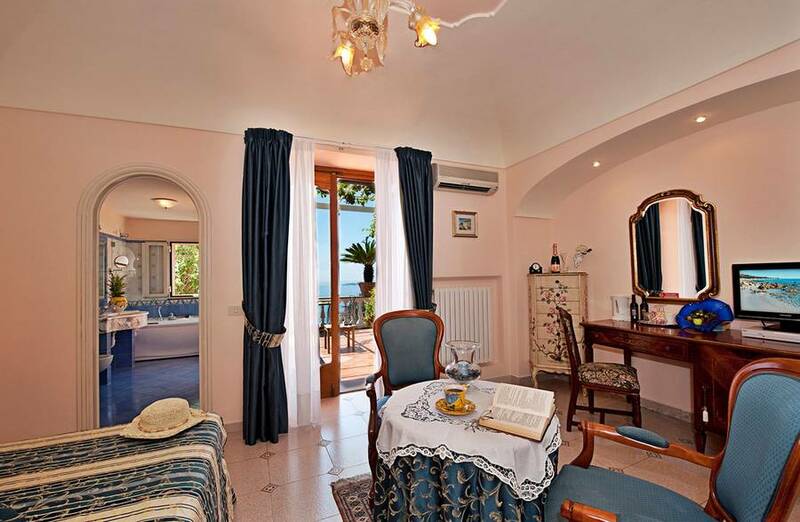 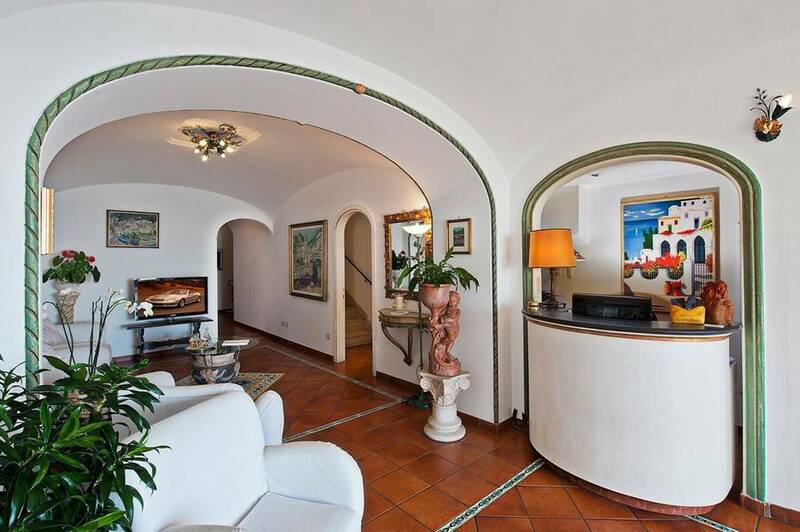 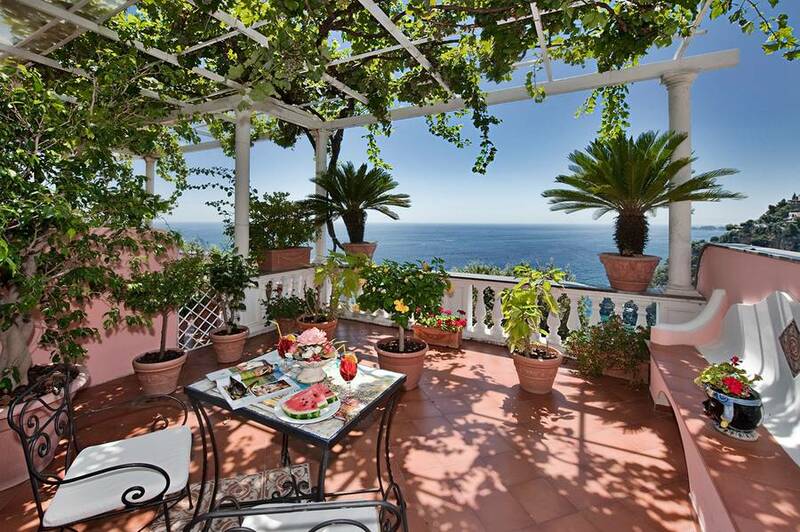 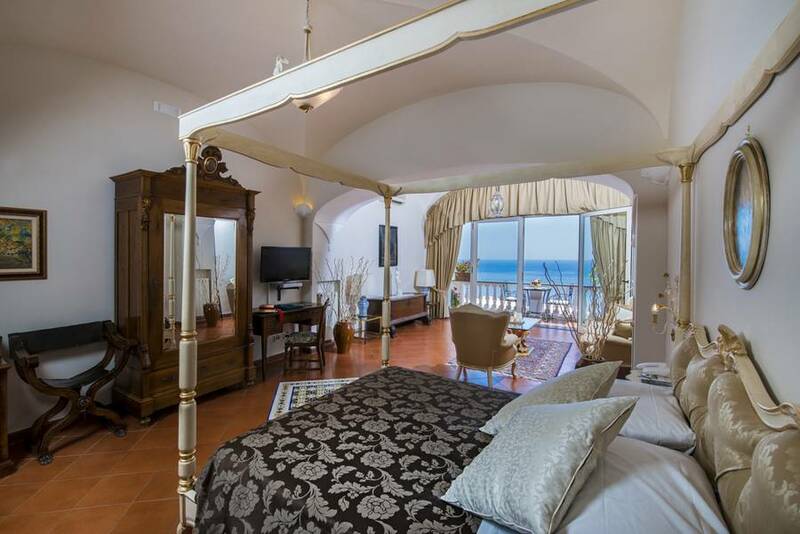 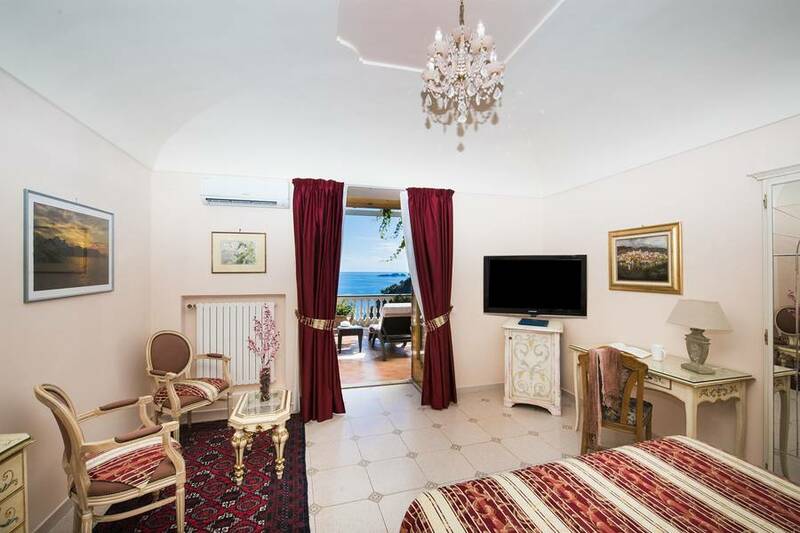 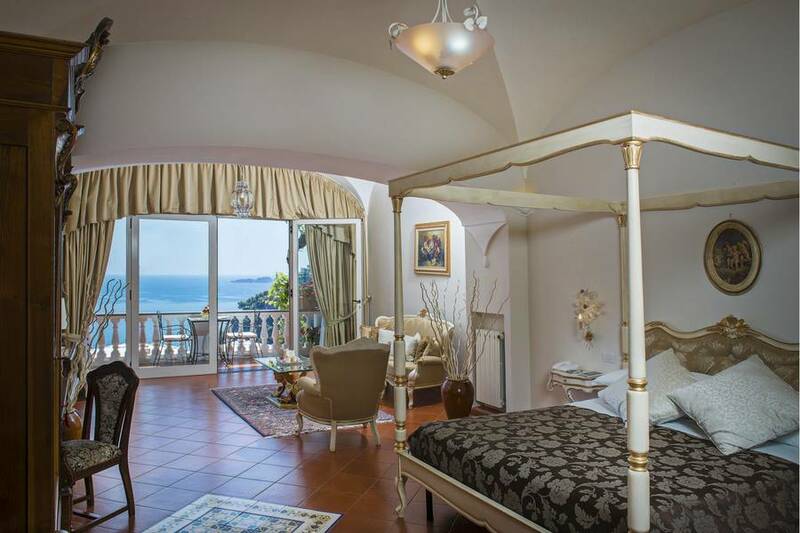 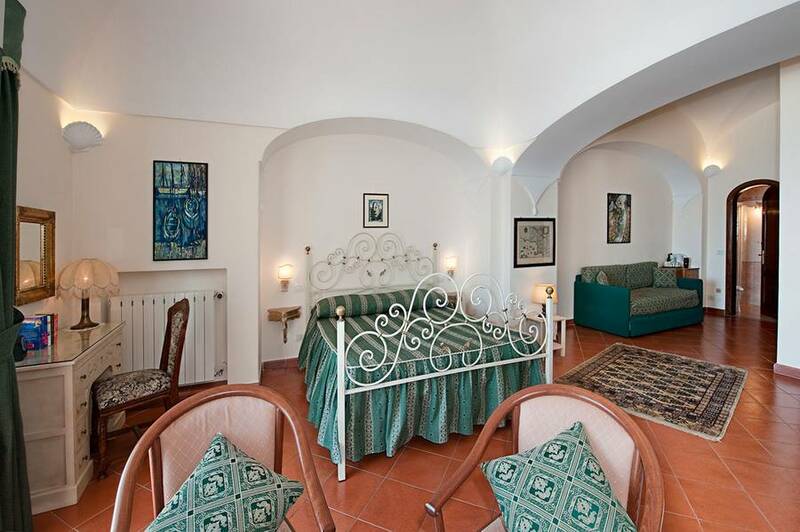 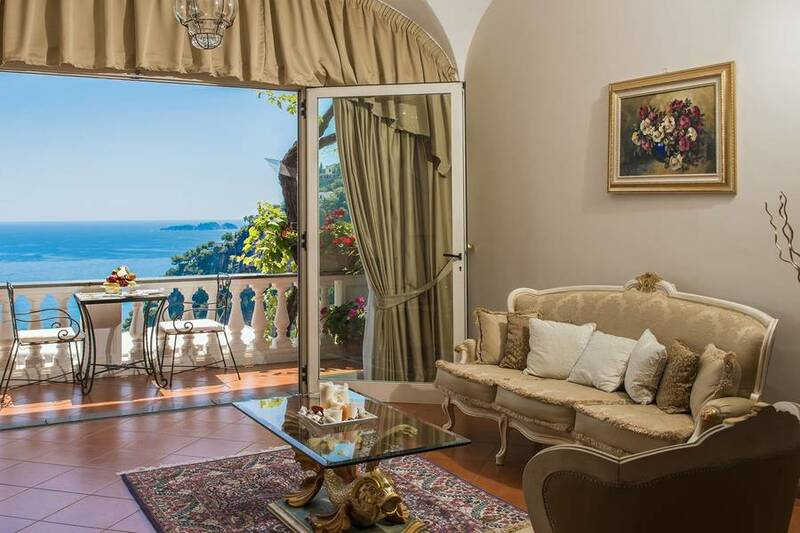 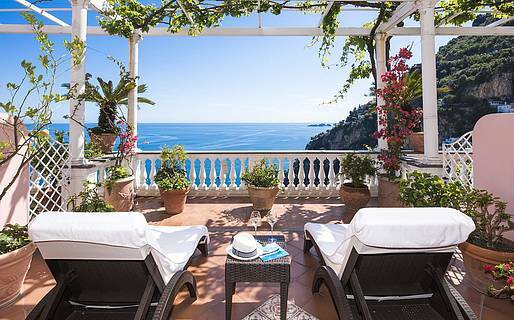 Hotel Villa Gabrisa's bedrooms and suites contain many of the Amalfi Coast's traditional architectural features, with graceful arches, shady porticoes, and decorative items; all in typical Mediterranean style. 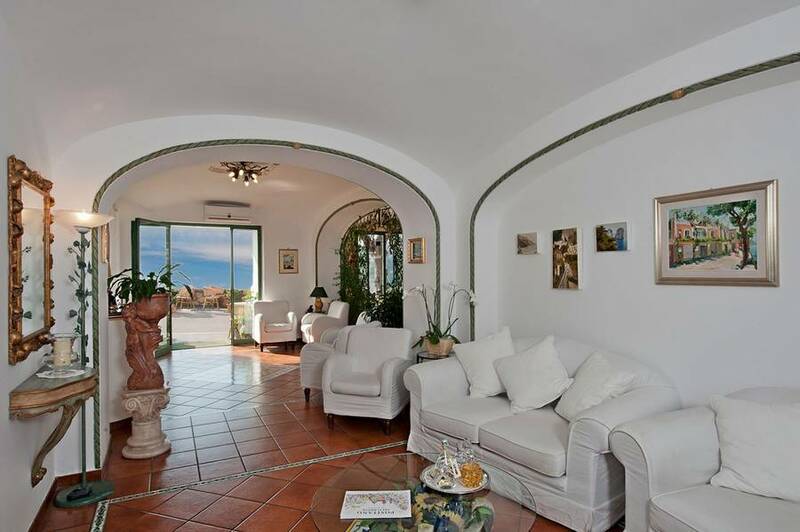 Floors are laid with terracotta or with colorful majolica tiles from Vietri. 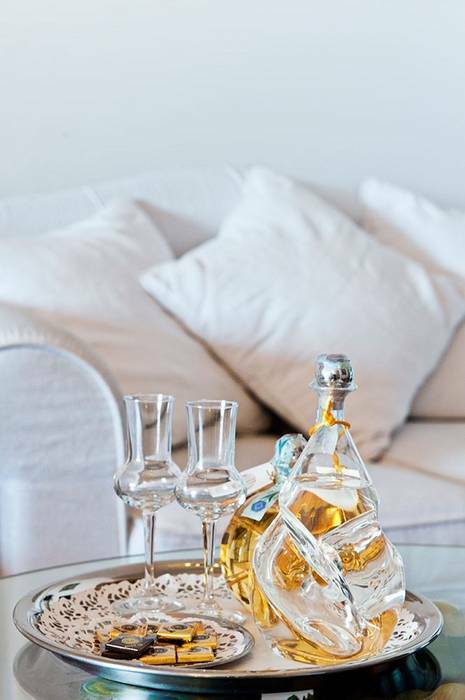 The furniture has been custom-made by the area's talented carpenters and cabinet makers. 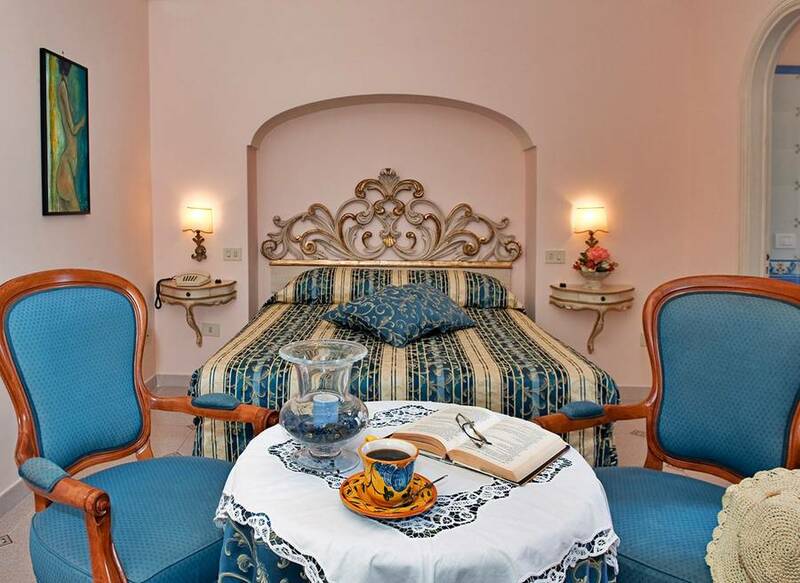 Capodimonte ceramics and Murano chandeliers provide additional touches of luxury. 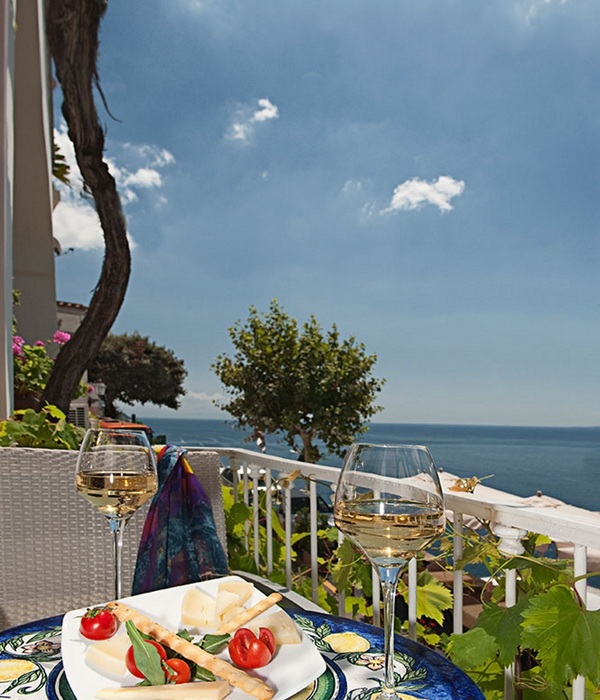 Hotel Villa Gabrisa's restaurant has gained an outstanding reputation for its excellent Mediterranean cuisine. 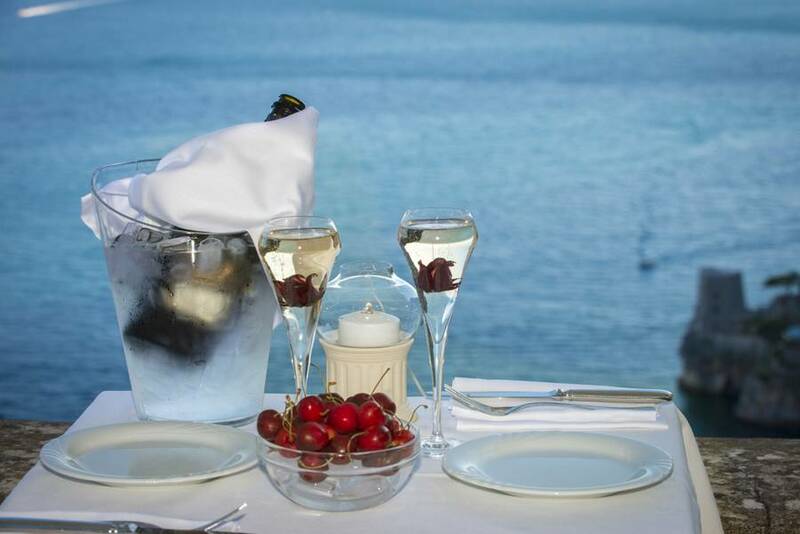 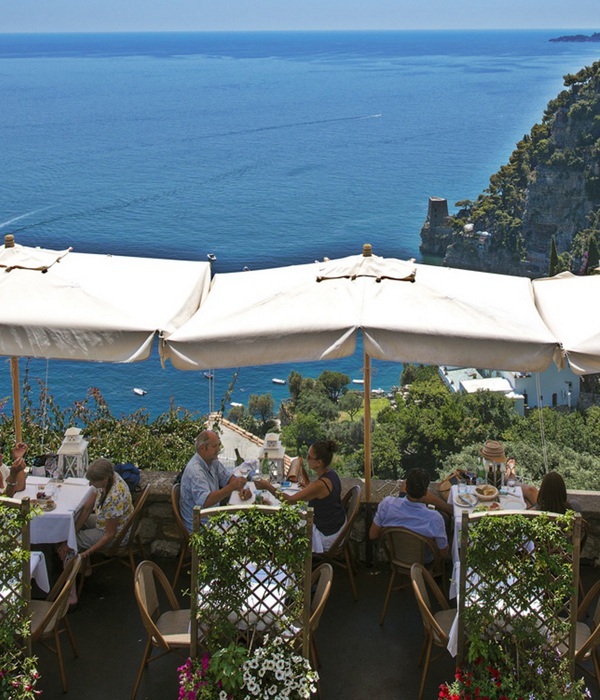 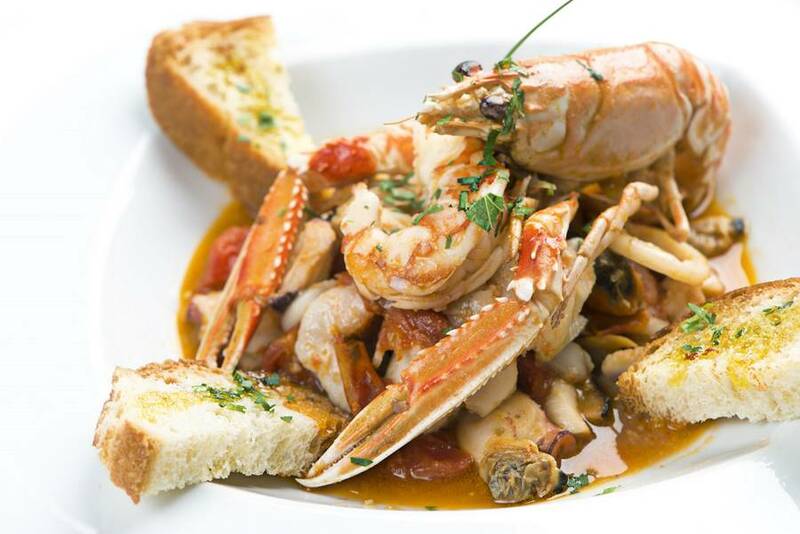 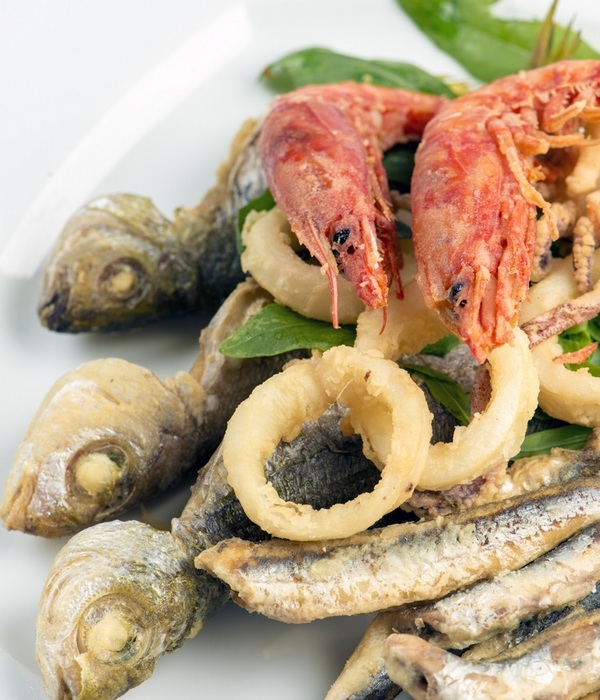 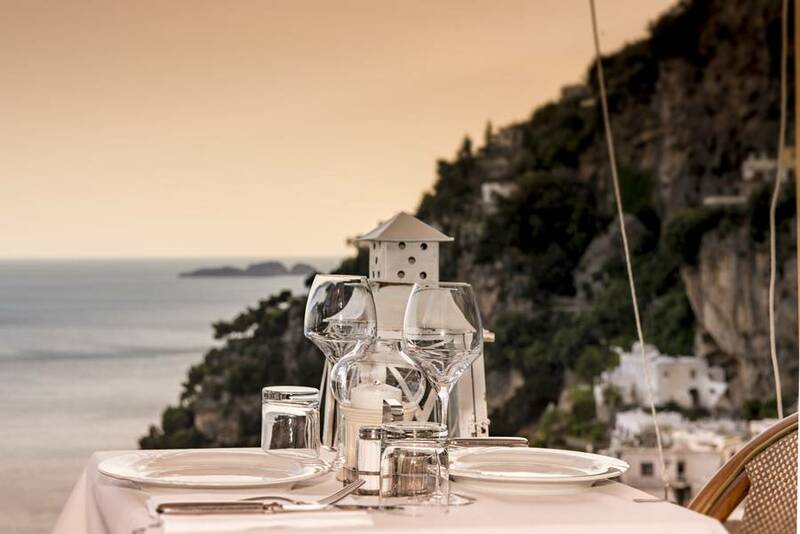 Typical dishes of the Amalfi Coast, including delicious local fish and sea food specialties, are served in the dining room or, during the long summer season, outside at tables overlooking the sea. 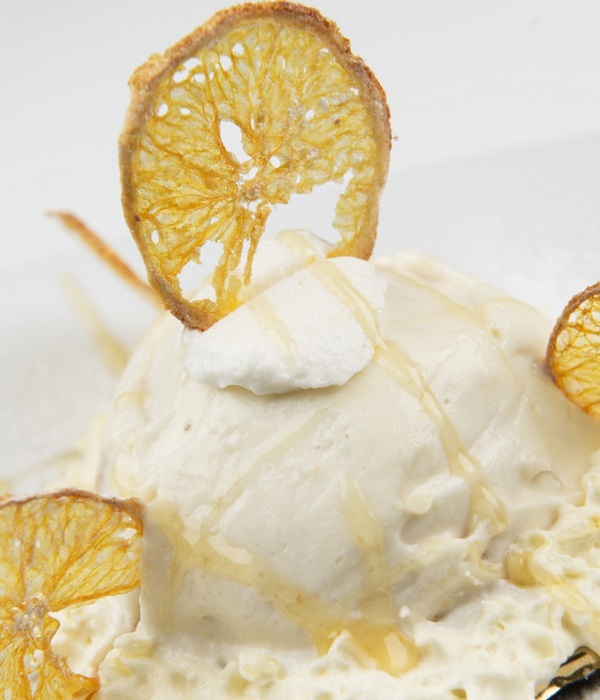 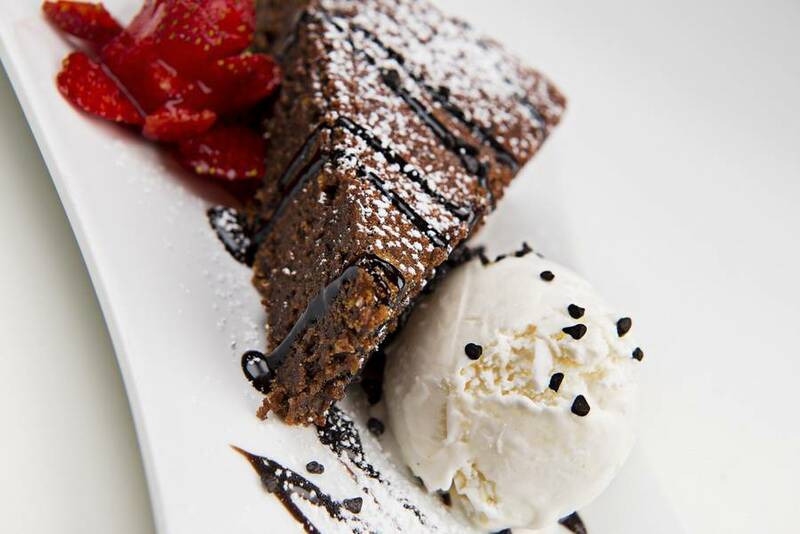 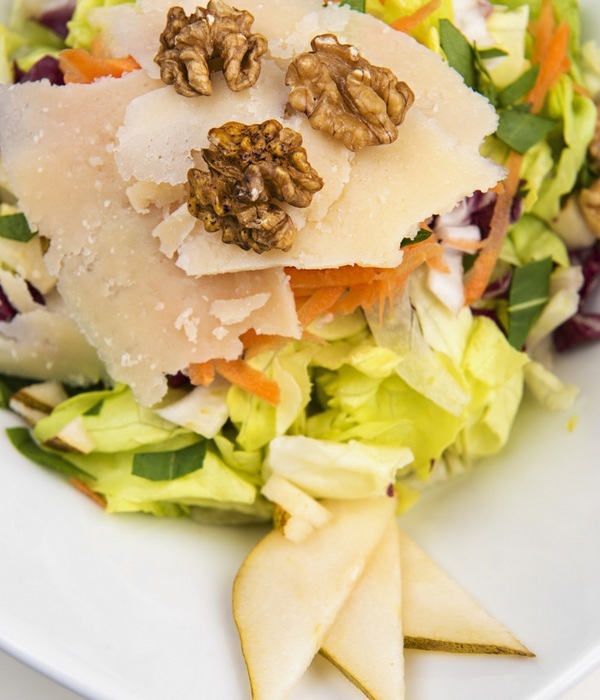 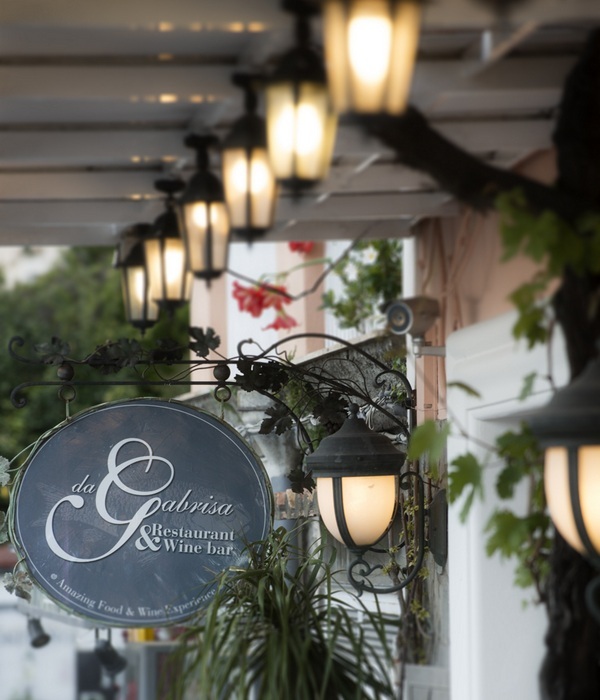 Hotel Villa Gabrisa's seasonal menus always include a number of delicious, low calorie, gluten free, and vegetarian dishes. 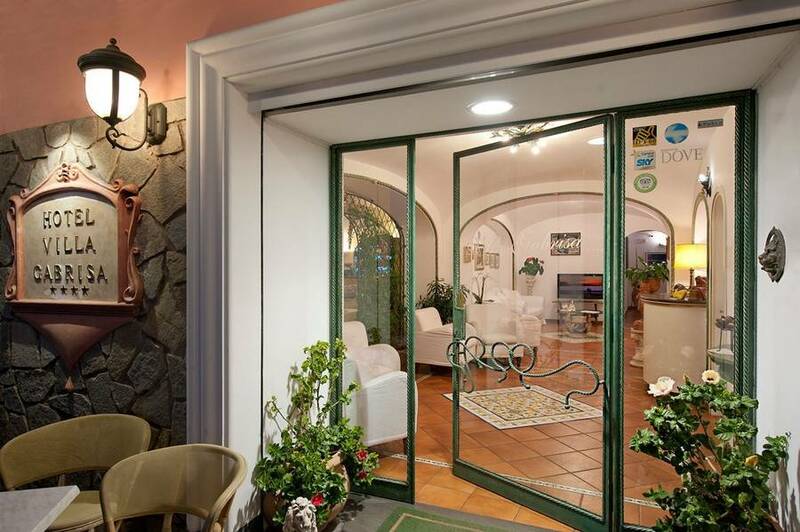 Refreshments are served at the hotel's bar which, in the evening, provides a stylish venue where to meet over a cocktail or glass of Limoncello. 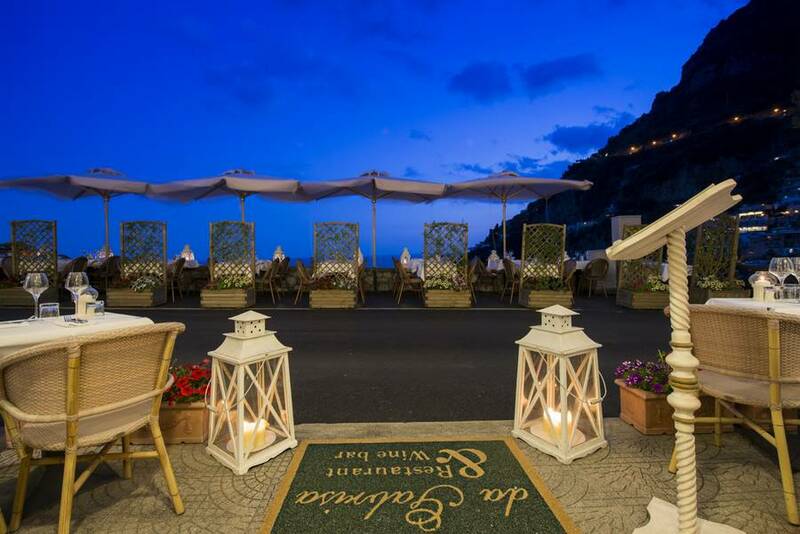 Whilst staying at Hotel Villa Gabrisa, guests have every occasion to experience the charm of Positano, strolling through its picturesque historic center and relaxing on the town's legendary beaches. 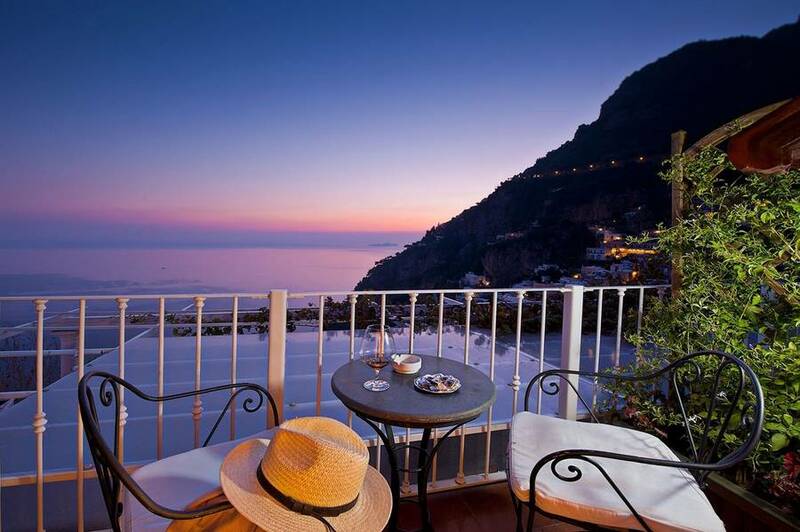 For those wishing to the explore the surrounding area, the hotel organizes excursions, boat trips, and guided tours of towns such as Amalfi and Ravello and lesser known, but equally fascinating, places such as Furore, Conca dei Marini, Atrani, Praiano, Maiori and Minori. 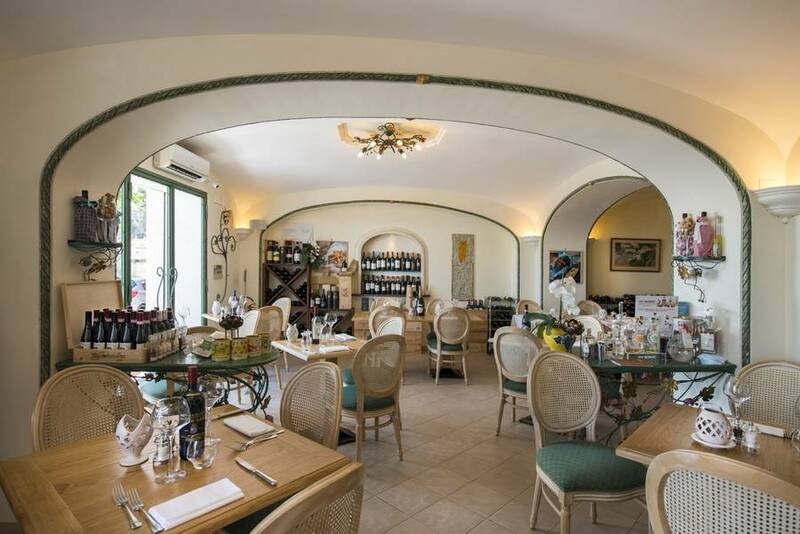 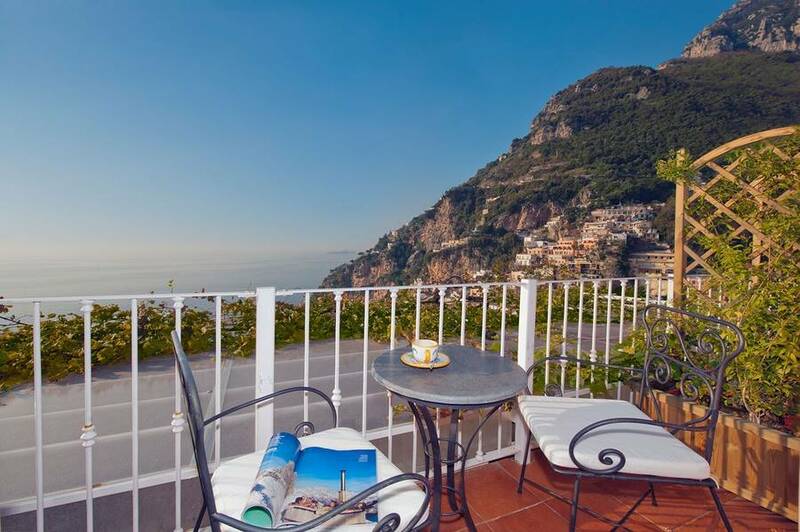 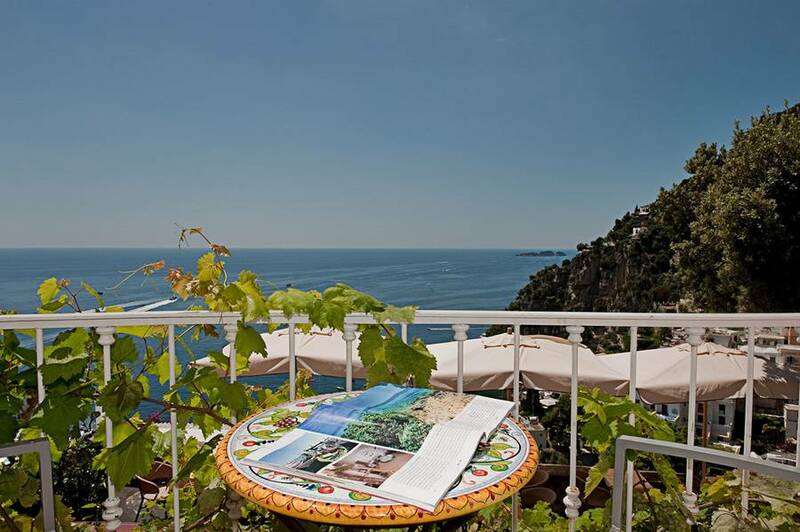 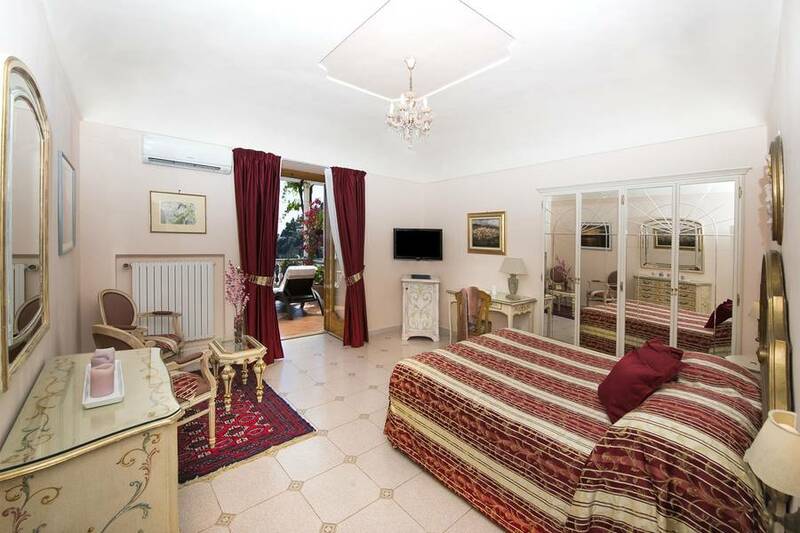 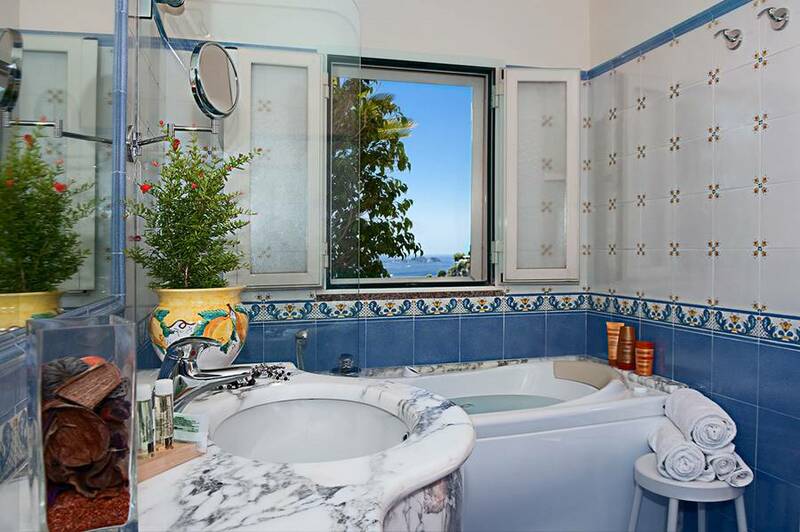 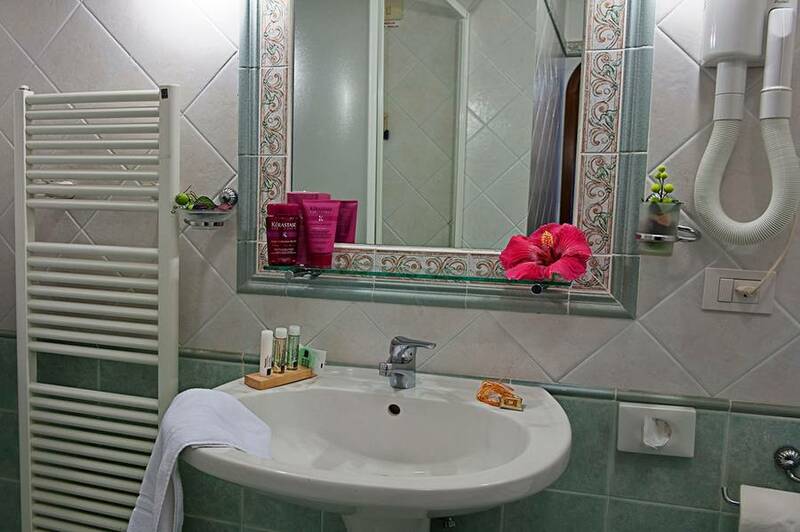 Hotel Villa Gabrisa is located on the Via Pasitea, the panoramic road which snakes its way along the Amalfi Coast and behind the historic center of Positano. 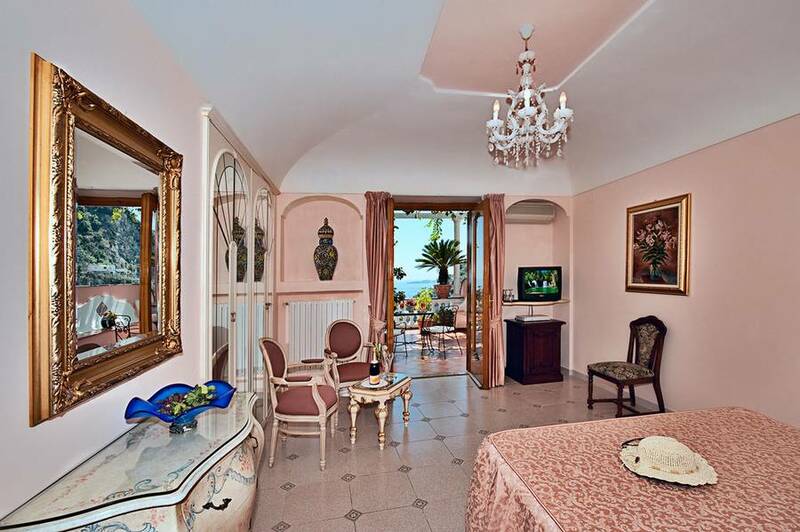 The town's "Spiaggia Grande" beach is a leisurely 15 minute walk away from the hotel. 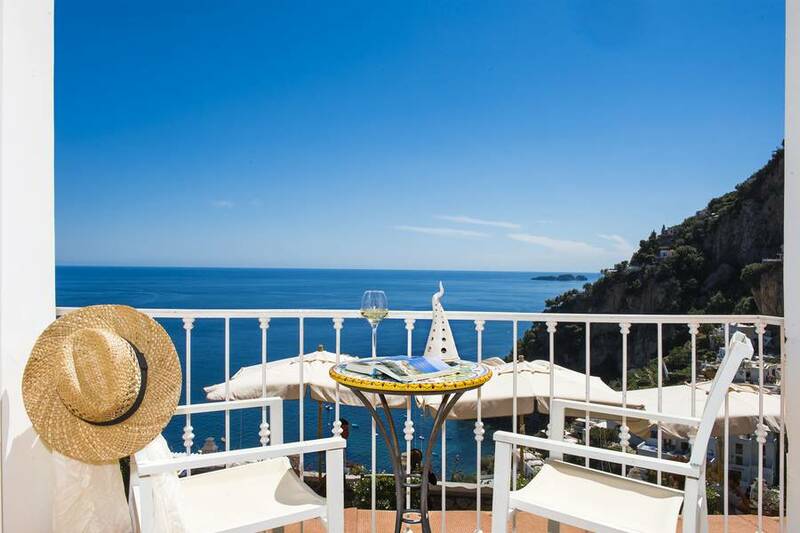 From the heights of its hillside position, Hotel Villa Gabrisa enjoys magnificent views of Positano, the sea, and the islets of Li Galli. 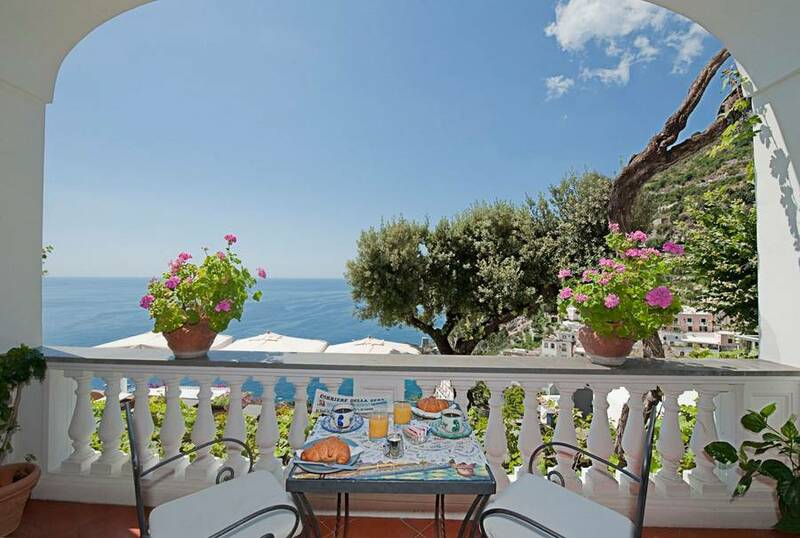 Positano is situated right in the heart of the Amalfi Coast, meaning that guests staying at Villa Gabrisa will find themselves just minutes away from other historic towns, such as Ravello and Amalfi, and picturesque fishing villages such as Furore, Praiano and Conca dei Marini. 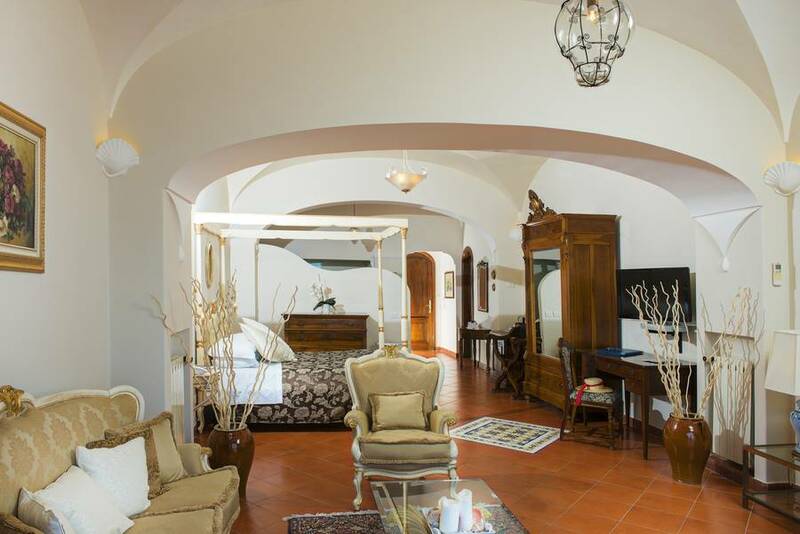 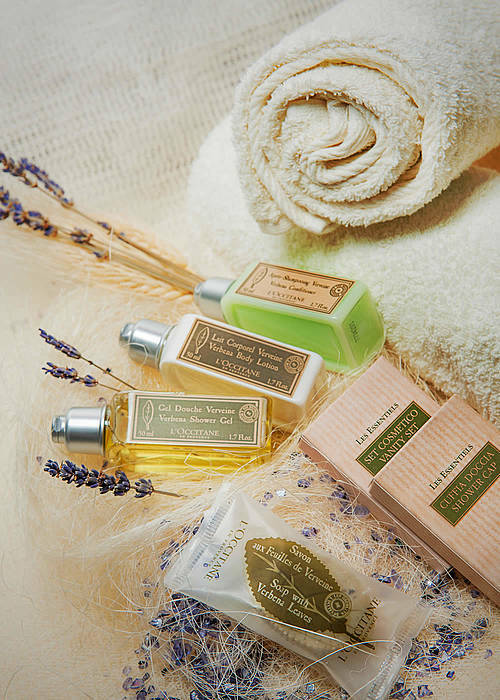 "We specially want to thank Layla for her kindness and close attention to guests."